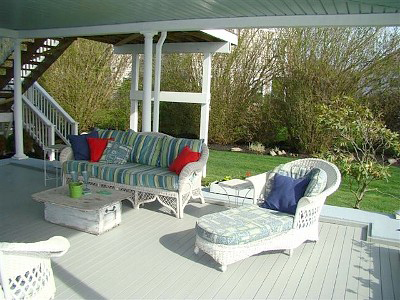 When I think of great Newport vacation rentals, I envision a comfortable, spacious property that is close to the beach and many of Newport's best attractions. Villa Mari meets that criteria, and then some. 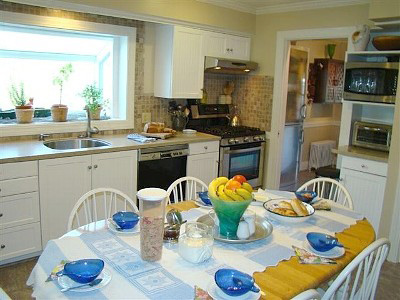 Villa Mari is located in a peaceful little neighborhood known as Renfrew Park. 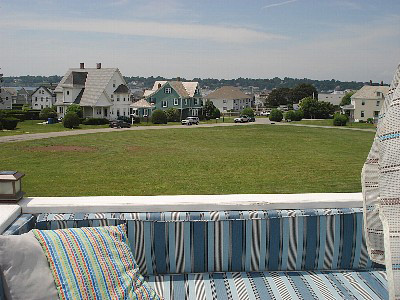 You can see the Newport Cliff Walk and Atlantic Ocean from the 2nd floor bedrooms and deck, and it's only a 3 minute walk to Easton's Beach from the front door. This is a 2 level, 2000 sq. 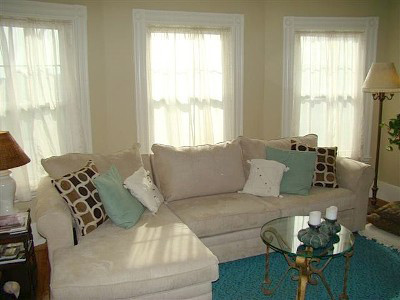 ft. living area, offering 4 bedrooms and 2 full baths (only 3 bedrooms and 2 baths available during the winter). The property sleeps 9 comfortably, and is perfect for families, wedding groups, or a weekend away with a bunch of friends. Local brochures, maps, magazines, tour books and restaurant menus as well as the Villa Mari notebook with our very own FREEBIES and BARGAIN recommendations! You're even provided with beach stuff, including towels, coolers, thermos, chairs and umbrellas! Are you kidding me? 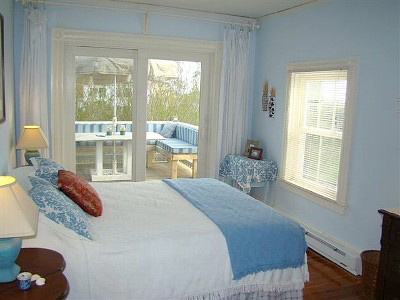 I don't think too many other Newport vacation rentals go to these lengths to accommodate your needs. No smoking allowed inside, but there are ash cans located outside. Villa Mari is right on the Newport/Middletown border. It's only a short ride to downtown Newport and all it's waterfront restaurants, eclectic shops and historic attractions. The opulent Newport mansions are only a 5 or 10 minute ride also. 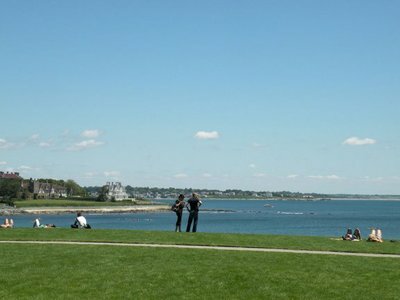 Follow these links for more on Newport RI attractions and things to do in Newport. Zoom in on the blue placemark in the map below to see Villa Mari's exact location. 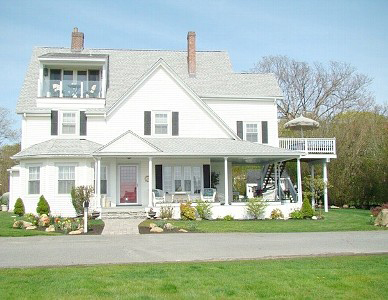 You'll see that it is literally steps from the beach!